Horses are a vital in our efforts to restore the Appalachian forest using our "worst-first" single tree selection approach to low-impact forestry. 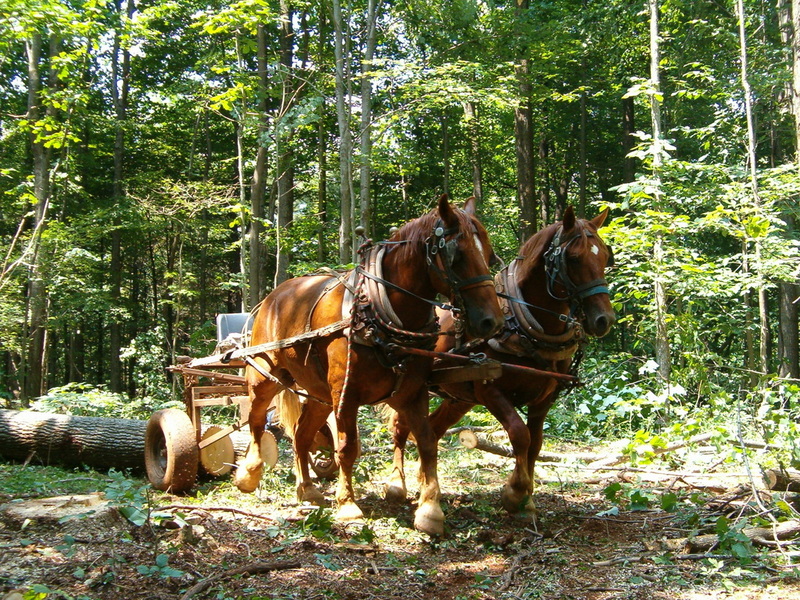 Click below to learn more about why horse-powered restorative forestry is so important to the survival of the forest. Ridgewind horses earn their keep. Harrowing, plowing, discing, making hay- our horses are intimately involved with day-to-day work on the farm. Click below to learn more about how our horses power the farm. An important part of our life is sharing our culture and work with the public. We participate in draft animal show days, pulling contests, educational forestry events, and more. Click below to learn more about how we are involved with our community.